The biggest concern with Berry going forward is his health, as an Achilles injury has caused him to miss 29 of Kansas City’s past 32 regular-season games over two seasons. If he can answer the question of potentially returning to top playmaker and leader status at his age, he can be valuable, a la Eric Weddle with the Ravens after his cut from the Chargers. Ware could not take advantage of Kareem Hunt’s release to take control of the Chiefs’ backfield, as Damien Williams proved more effective in handling a bunch of touches. But he has had a high volume before and is a pretty good receiver, too. He is visiting Detroit, but he has obvious scheme connections in Philadelphia and Chicago. The Packers are moving on from Matthews and Nick Perry as they reboot their edge rush with Za’Darius Smith and Preston Smith. 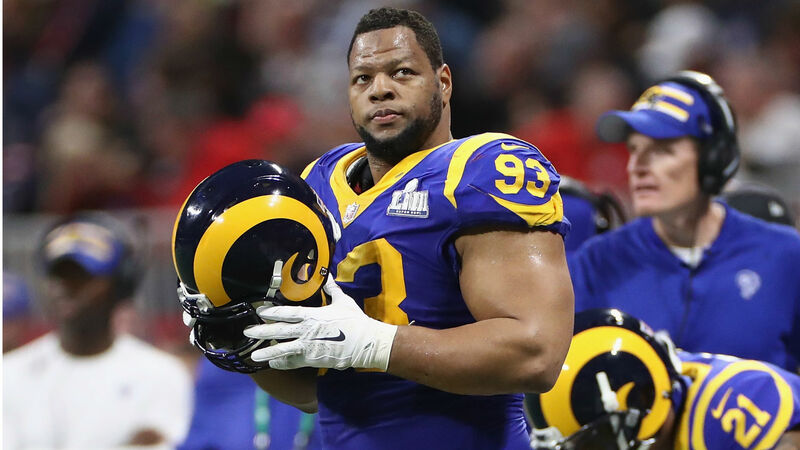 Matthews’ motor can still help a contender as a situational pass-rusher (see late-career Julius Peppers and Jared Allen), and it makes sense for him to finish in Wade Phillips’ 3-4 scheme back home in LA. Philon produced well for Los Angeles. He has turned into a solid, consistent rotation regular with 4 1/2 and 4 sacks the past two seasons. The Cardinals sholud be happy to get him for Vance Joseph’s front. Nelson was a surprise cut by the Raiders; he seemed like the perfect big slot to keep between newcomers Antonio Brown and Tyrell Williams. He flashed some big-play moments in Oakland and has appeal because he can still line up everywhere as a savvy route runner, deep threat and red-zone target. Spain’s time in Nashville ended when the team signed former Ram Rodger Saffold to start between Taylor Lewan and Ben Jones. He is still a solid run-blocking starter who can help multiple line-needy teams.